One of the things I enjoy most about living in London is the diversity of street ‘art’. Whether it’s from a time long gone or more modern mastery, I love the surprise of it as you round some corner and some unexpected express of imagination catches your eye. Well, I think Paris is the same, a city where old and new mix unapologetic with effortless chic and during my recent sojourn in the City of Lights I really enjoyed walking around and discovering all of its ecclectic self-expression. If you take to the streets like I did, you might just see some of these. Icons of design in Boulevard Raspail (left) and on the Av des Champs-Élysées (right). The American Dream, alive and well in Rue Mouffetard (top) and Rue Daunou (bottom). 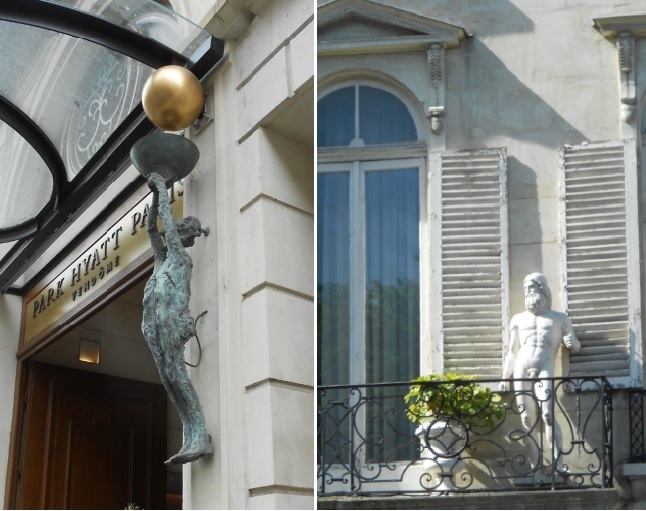 The body beautiful in Rue de la Paix (left) and in St Germain des Prés (right). 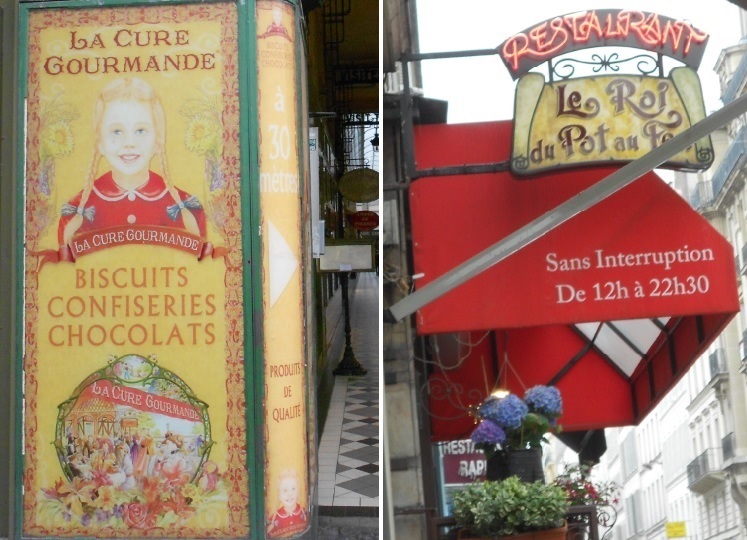 Tasty treats on Boulevard Haussmann (left) and The King of Hotpots on Rue Vignon (right). 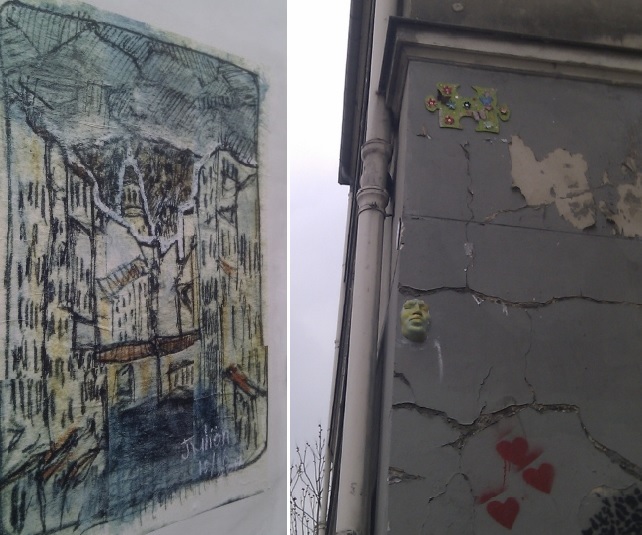 Lost art: climbing the walls in Montmarte. 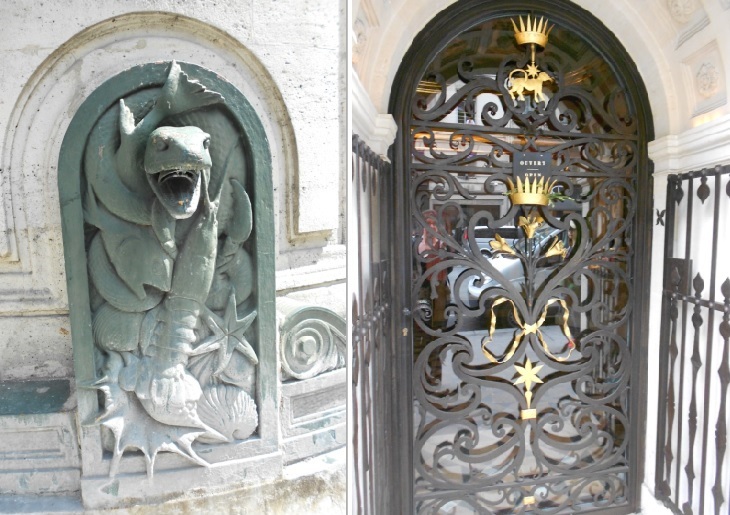 Security measures near Jardin des Plantes on Rue Linné (left) and Rue de la Paix (right). 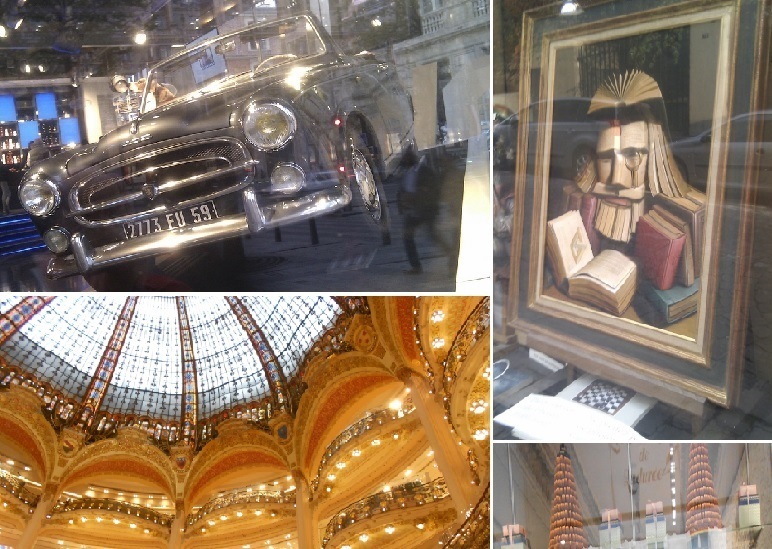 Window shopping for (clockwise from top left) wheels on Av de Champs-Élysées, literature on Rue Lepic, macaroons on Rue St-Honoré and glamour at Galeries Lafayette. So if you are in Paris, get your boots on – you know those ones made for walking – and make sure you keep your eyes peeled. Because these moments of delightful discovery are everywhere…and finding them is like a turn of the kaleidoscope, giving you a glimpse of a different side of this marvellous city. This entry was posted in A Traveller's Life, Armchair Tours, street art and tagged Cartier, Montmarte, Paris, street art by Kym Hamer. Bookmark the permalink.